It's only the beginning — they're going to take 1,500 more. 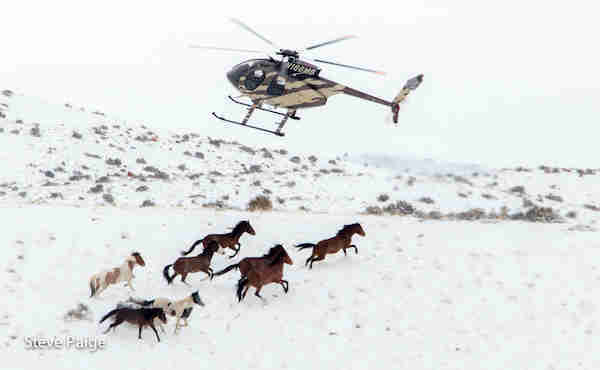 Fifty wild horses were just rounded up by helicopters that corralled them into holding areas. This isn't unusual - it's been going on for years, as the federal Bureau of Land Management (BLM) has been trying to figure out how to manage the booming population of wild horses across the American west. This latest roundup occurred at the Frisco Horse Management Area in Utah, as people from Return to Freedom, an advocacy group dedicated to protecting the horses, attended as "humane observers" to document the roundups and keep pressure on the government to find a better solution. 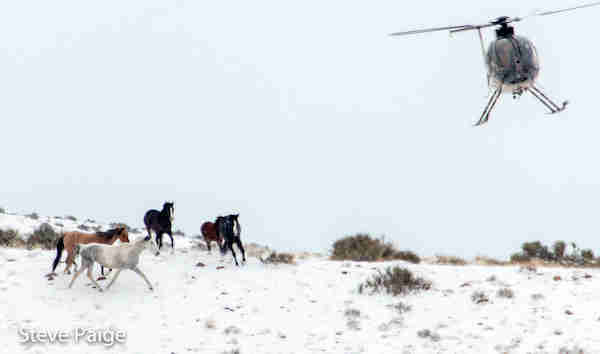 "Documenting roundups also provides a key way to help policymakers and the public understand how tax dollars are often being misused to fund an inhumane, costly and ineffective system of removing wild horses and burros from the range and placing them in off-range facilities when on-range management alternatives may be viable," the group wrote. But because the BLM has been using this capture tactic for decades, it has tens of thousands of horses in holding facilities - and has no idea what to do with them. Last September, when an advisory board recommended killing the 45,000 wild horses and burros currently in federal holding facilities, thousands of people spoke up to stop it. 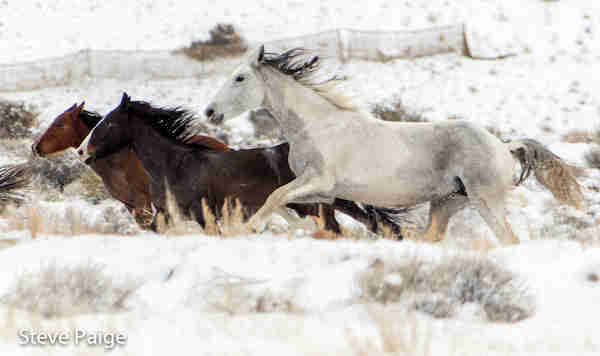 BLM finally responded that it had no current plans to kill the animals and that it has not yet formally replied to the advisory board's proposal. It will do so at its next meeting, which is set to take place in April. 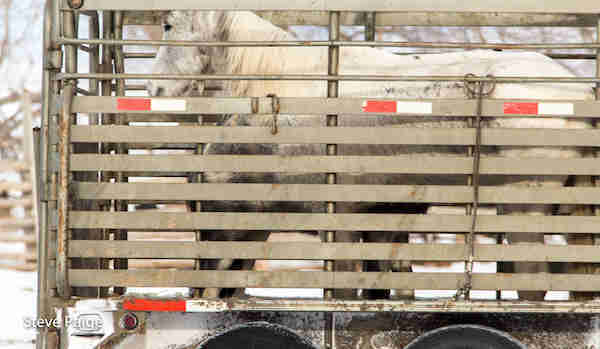 Until then, the agency continues to round up the horses, putting many of them in holding areas, which advocates have criticized for lacking space and shelter from the elements. 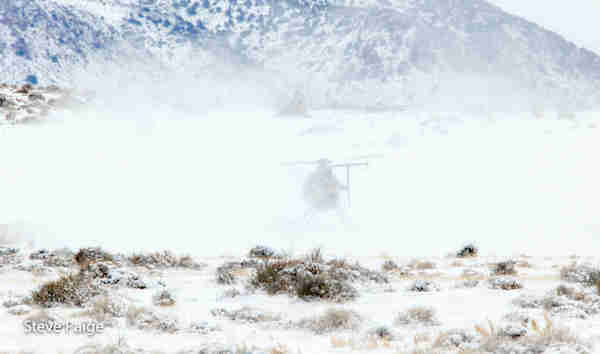 BLM plans to capture 1,575 in January and February alone. 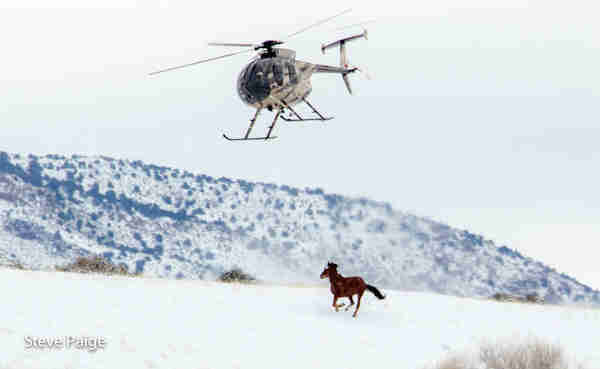 "Some Frisco wild horses will be returned to the range outfitted with radio collars as part of an ongoing population study," RTF said in a statement, "but most of the wild horses and burros in upcoming roundups will tragically never see their home ranges again." People have been urging alternatives to these roundups for years. While BLM has found homes for some of the wild horses and burros, adopting out more than 230,000 of them since 1971, that approach has been far from perfect in one particular way: At least 1,700 - that we know of - ended up in the slaughter pipeline, a recent investigative report discovered. Some say the feds have made a mess by rounding up wild horses in the first place, and they need to change their management plan, relying more on birth control methods, like vaccinations for the wild horses, instead of roundups. After the board's lethal recommendation last fall, animal advocates encouraged everyone to keep their eyes on BLM. "There's a worry that if we all get quiet right now, they could change their mind," Gillian Lyons, wild horse and burro program manager for the HSUS, told The Dodo back in September. And that's just what we intend to do. BLM did not immediately reply to The Dodo's request for comment. 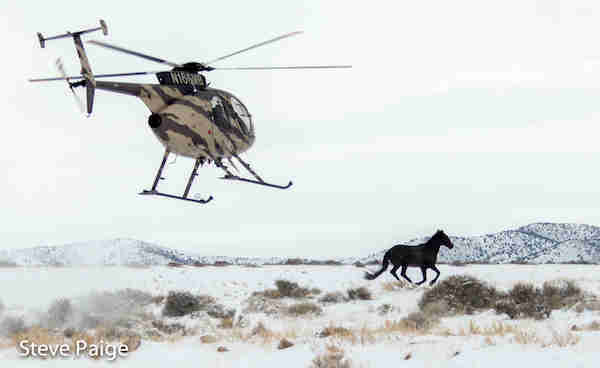 To donate to RTF's Wild Horse Defense Fund, click here.